In 2012, Janssen opened a brand new distribution center in La Louvière, a milestone in the development of the European distribution network. In the past, distribution was undertaken through 15 local centers spread throughout Europe. The main goal of centralizing the distribution of all medicines produced in Europe in one location is to improve the service to our clients. J&J had already opened distribution centers in Beerse and Courcelles. Thanks to the infrastructure in La Louvière, the final piece of the puzzle was in place. Today, more than ever before, Belgium is the hub of our European distribution network for all J&J products in Europe. Johnson & Johnson has constructed its three distribution centers in a relatively small geographical area for a reason. La Louvière and Courcelles are located only 20 kilometers (12.5 miles) from each other. Our end goal is 1 order, 1 delivery, 1 invoice for all customers who order medicines or medical devices from Johnson & Johnson. We also aim for the highest standard in terms of distribution processes. This is necessary because no less than 20% of the global J&J turnover will pass through one of the three Belgian distribution centers. The centralization of all distribution activities is also vitally important for the Belgian economy. The center in La Louvière has created 110 new jobs. 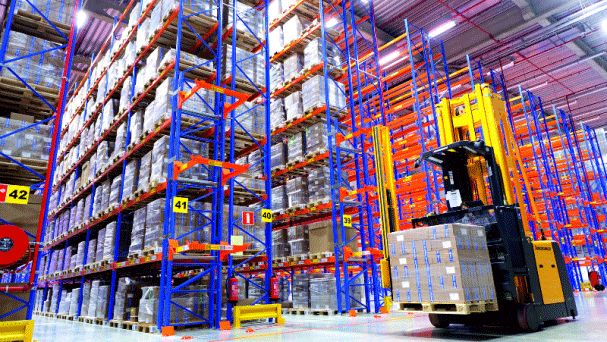 This raises the total number of jobs in the three Belgian distribution centers to 700. The environment is also a point of attention for the three distribution centers. Durability is engrained in our corporate philosophy. We’re also pleased to have obtained a Leadership of Energy & Environmental Design (LEED)-certificate for the center in La Louvière.